For conservational purposes, most of the previously exhibited textile works and accessories have been rotated. 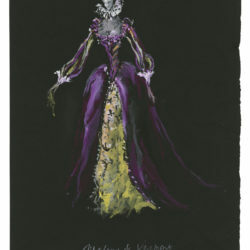 The updated display of about forty new garments is visible since March 13 until September 9, 2018. 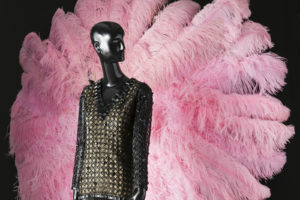 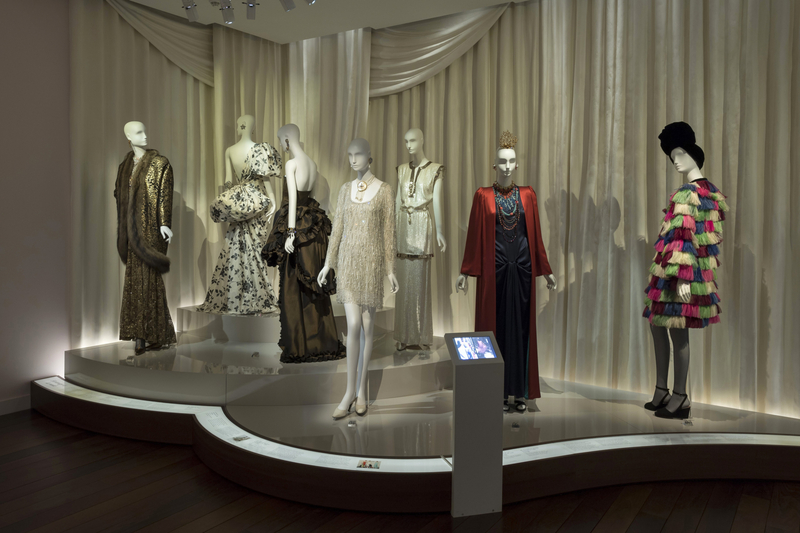 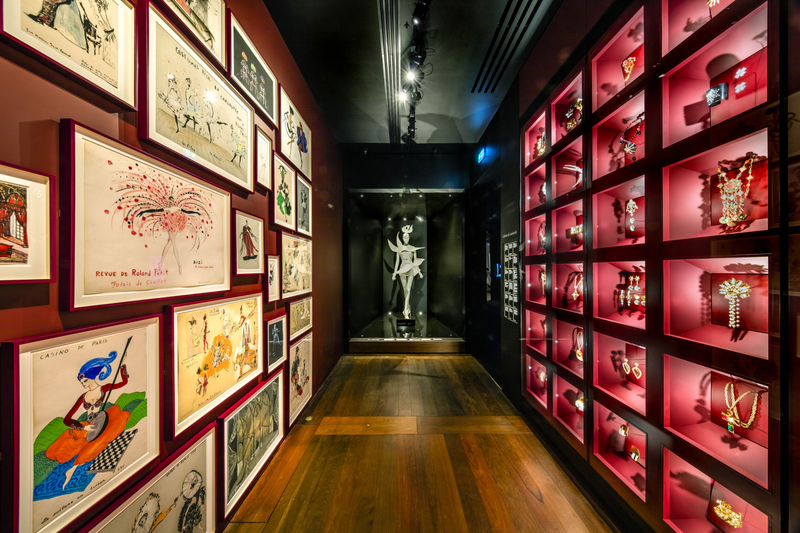 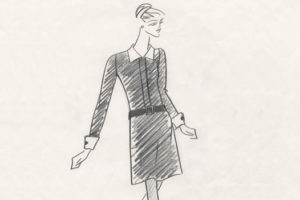 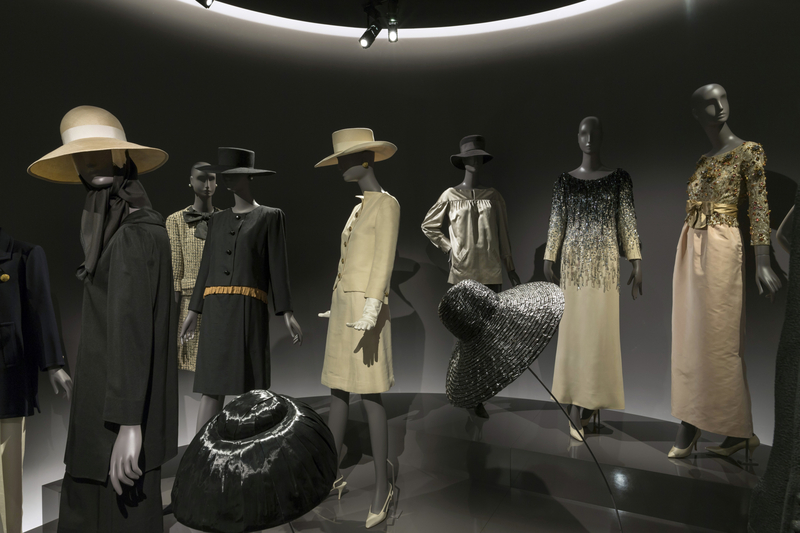 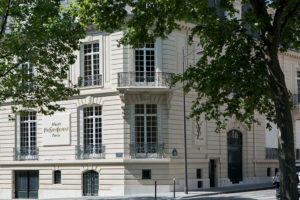 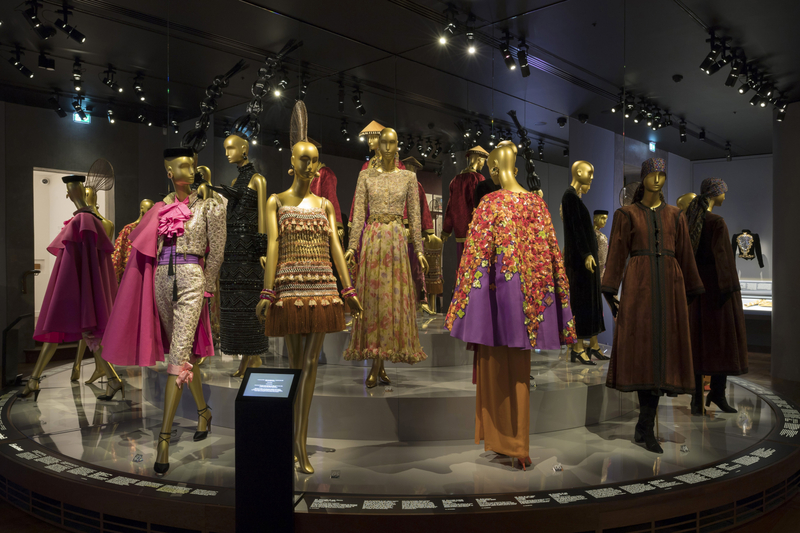 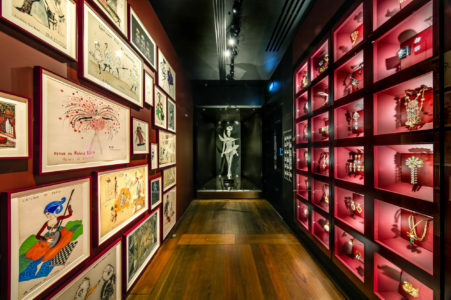 The Musée Yves Saint Laurent Paris’s inaugural display addresses the couturier’s creative genius through a selection of approximately fifty haute couture designs along with related accessories, sketches, photographs, and films. 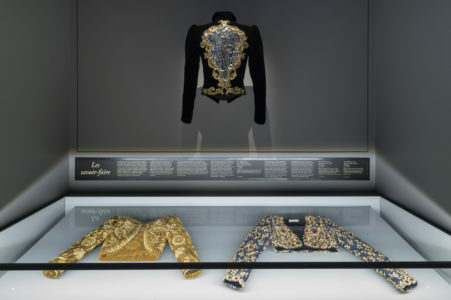 The display covers all the major themes in Saint Laurent’s work, including: the most emblematic designs embodying the designer’s quintessential style, such as the tuxedo, the safari jacket, the jumpsuit, and the trench coat; his various tributes to art; and the collections inspired by his imagined journeys to such faraway places as China, Morocco, Spain, and, of course, Russia. 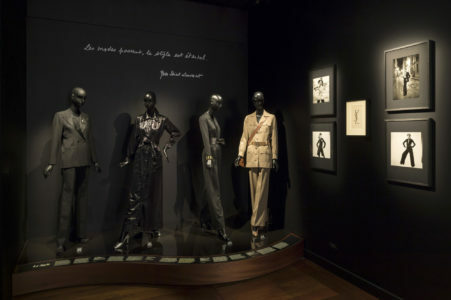 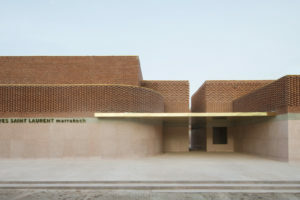 This truly unique display places Saint Laurent’s most well-known designs—such as the Mondrian dress and his African-inspired ensembles—alongside pieces being exhibited for the first time. 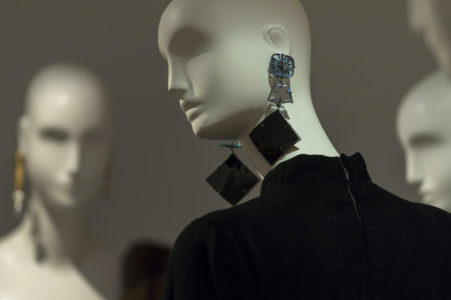 The resulting dialogue between these works has been conceived specifically for the museum’s opening. 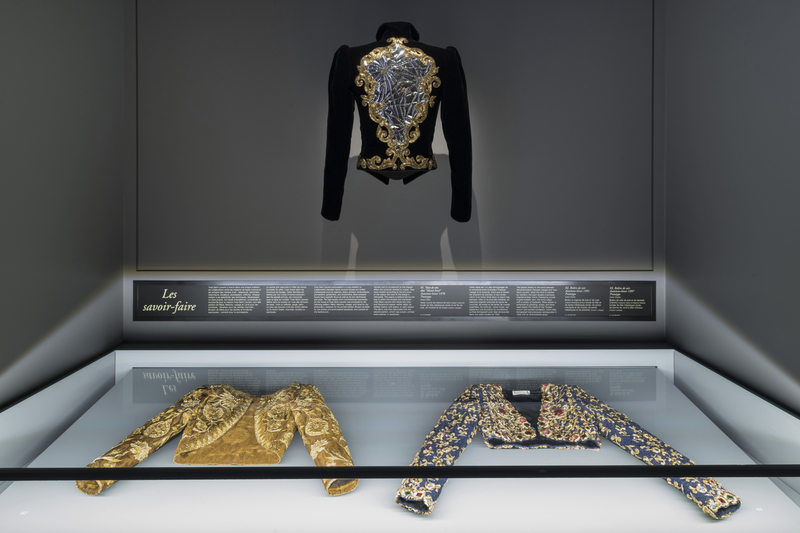 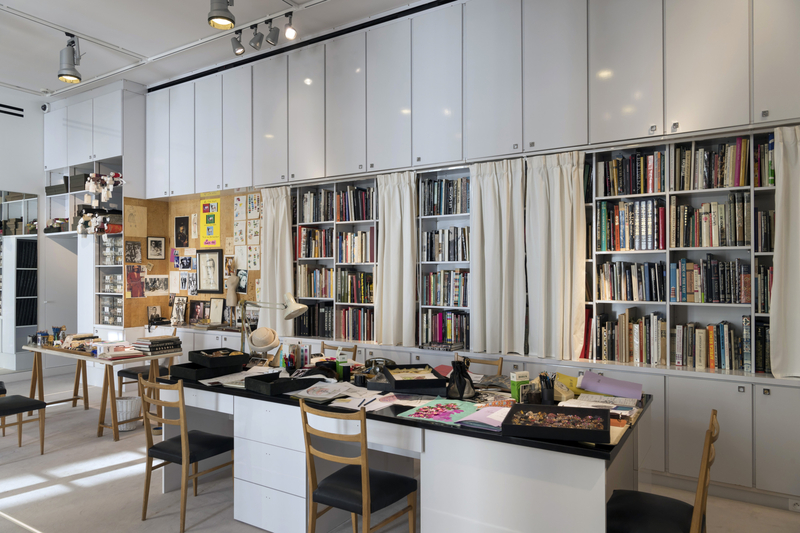 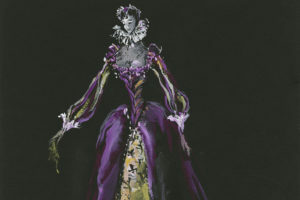 Take time to explore Yves Saint Laurent and Pierre Bergé's fascinating lives.